A book of great architects skating would be necessarily brief but would certainly contain this splendid image of the dashing Edgar Wood. Uncovered by CiA in the Manchester Art Gallery archives this photograph has been mutilated possibly to cut off his now unknown companion. Who could it have been? Continuity in Architecture Year 5 studio projects for a Museum and School of Fashion in Milan, an element of the Citta della Moda masterplan. This film shows excerpts from the students’ research work with the design projects to follow shortly. The current fashion for coloured glass and plastic in buildings goes backfurther than Donald Judd coloured boxes from the 1960’s. Sir John Soane usedsheets of yellow tinted glass to give a warm glow in his Dulwich mausoleumand red glass shown here in his house in Holborn. Some gentle ribbing of Manchester boosterism in The New Yorker this week. 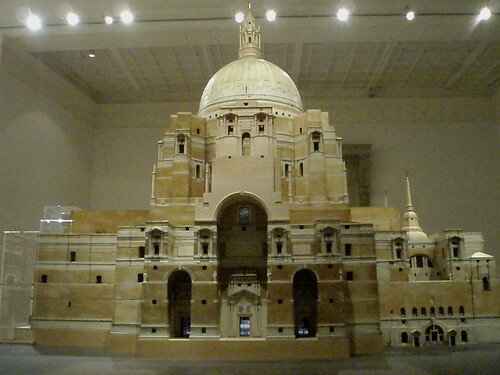 The exhibition of the great model of Lutyens’ project for Liverpool Roman Catholic Cathedral ends on 22 April (Walker Art Gallery website). The building is stupendous: buildings, pylons and aedicules piled up and punctuated by saints mounted on columns and balancing on ledges. 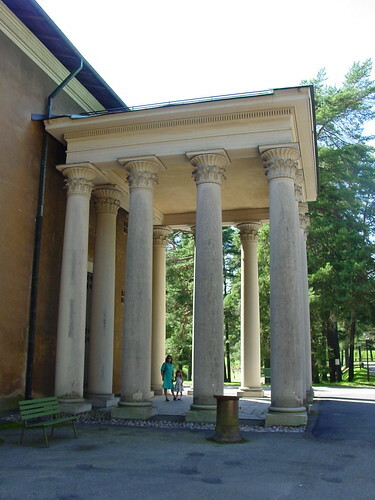 The form is then covered in an order of stark, black punctured openings, raised geometrical panels and baroque niches all unified by a layering of contrasting masonry. 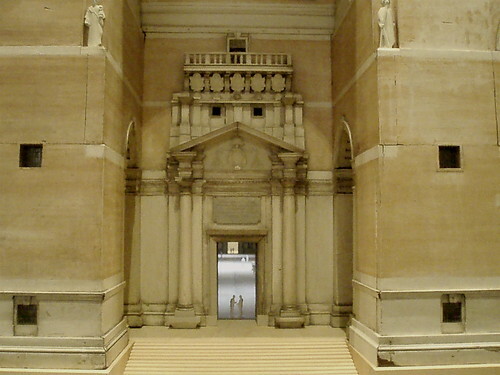 The sculpted figures, empty niches and distant forms combine to give the impression of a building occupied by more than the congregation. In my opinion, the presentation of the model is poor. The different scales of architectural form and detail are bleached by the light blasting from all directions. 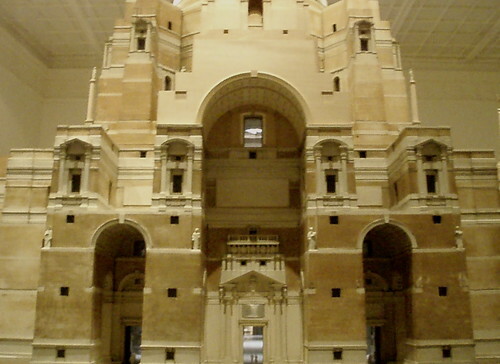 The style of display is perhaps prompted by the priorities of the Museum: the finished model is presented as a technical achievement in restoration and conservation rather than a representation of a building of great formal and emotional power.